Damian was instrumental in establishing the sport of rugby league in the Armed Forces. Through his determination, the sport in the Royal Air Force was officially recognised on 1 January 1996. Furthering his success, Damian worked hard to develop the sport within the armed services and the greater community. Progressing from Assistant Coach to Head Coach of the UK Armed Forces team, Damian took them to play in Brisbane against the Combined Australian Defence Force to commemorate the 100th Anniversary of ANZAC Day. 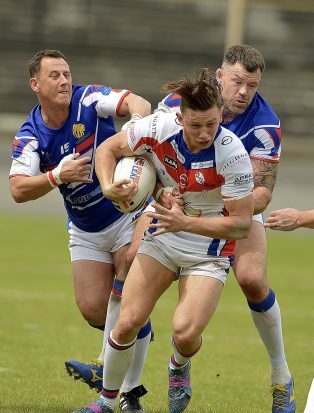 Most recently, Damian has headed up the UK Armed Forces team that competed in the Defence World Cup in Australia. As well as coaching, he has steered the UK Armed Forces Rugby League as Chief Operating Officer, shaping direction and providing the RFL with a timely avenue to cascade governance to the Royal Navy, Army and Royal Air Force Rugby Leagues.